I’ve always been whackadoo, sometimes worse than others. In 1985 I decided that I was going to eventually own every album that my store carried. How I was going to manage that on a minimum-wage record store clerk salary was a detail for another day — the important thing was to get on it. 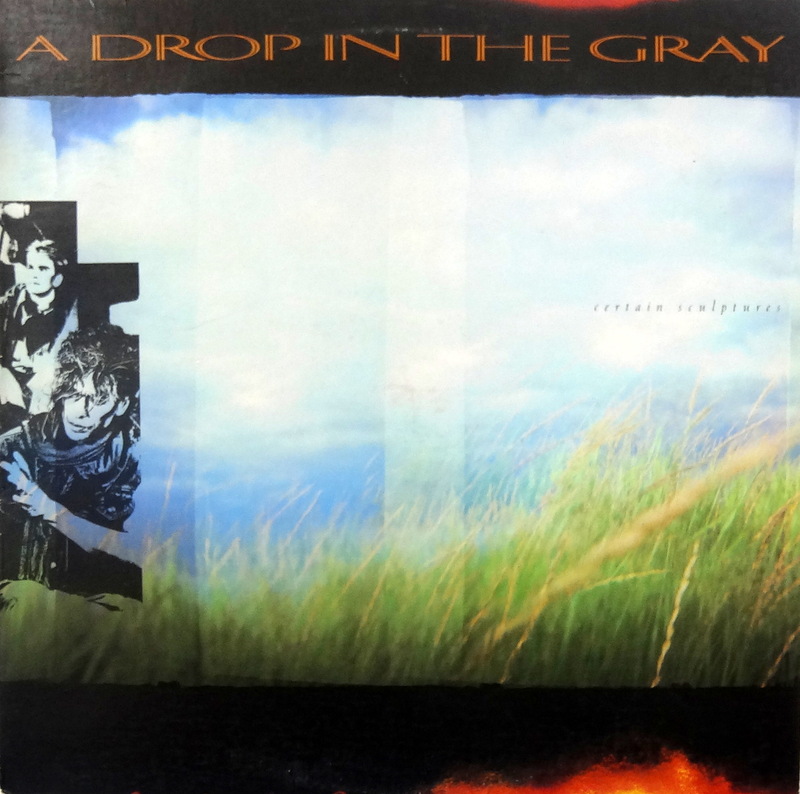 And so I went to the “A” bin and picked up the first album, a new release by a band named A Drop In The Gray. What a great find. 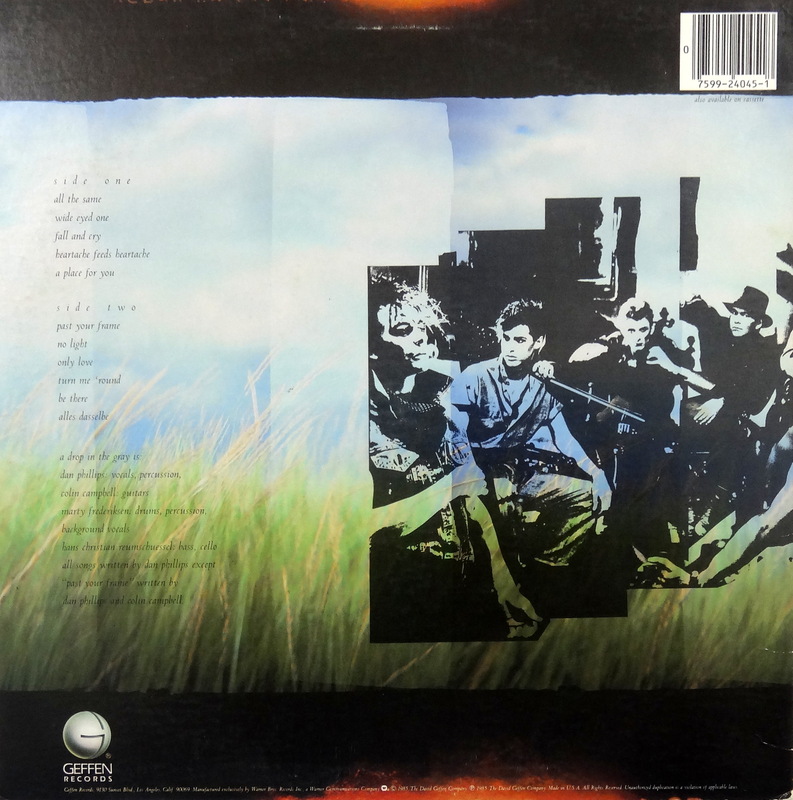 Certain Sculptures was a very unique album, a sort of post-punk moody, melodic piece with strong songs performed by solid musicians. Take the bass line on “A Place For You,” for example, which has more in common with a funk jam of the era than a new wave side. Above it all soared Danny Phillips’s vocals — sometimes anguished, sometimes fierce, but always evocative. Certain Sculptures immediately entered my power rotation and stayed there until I scratched my way through the tail end of adolescence. And then they were gone without a trace: no follow-up album, nothing in the trades, just gone as quickly as my fantasy of owning a mighty LP empire. Certain Sculptures has stuck with me, though, through thirty years of moves, technology upgrades, and musical fads. I caught up with lead singer Danny Phillips as he was getting ready for this year’s SXSW down in Austin, Texas. Why It Matters: So what the heck have you been up to? Danny Phillips: After A Drop in the Gray broke up I formed the band Chaintown. It was a little harder edged with two guitarists, keyboards, bass and drums. The only other member from the Gray that was in Chaintown was Eric Carter. He took over as the Gray’s keyboardist for touring. 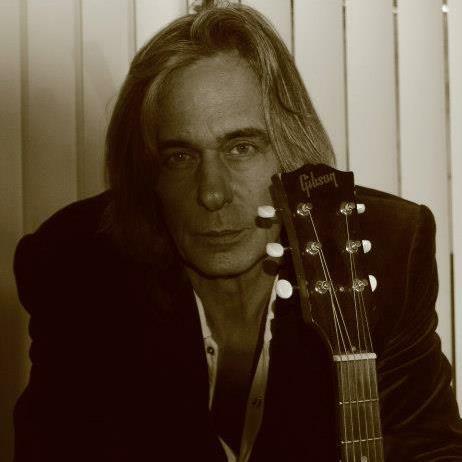 After Chaintown I didn’t want to do a band for a while so I took some time off and wrote songs that were suited for acoustic guitar and vocal. With that, I did tours opening for Chris Isaak, Willy DeVille and the Smithereens. WIM: Pretty sweet bills to be on. Now were you still down in L.A. at that time? DP: I think it was in 1990 that I moved back up to San Francisco, went through a divorce and got custody of my son. I didn’t want to raise him in the city so in ’94 I moved here to Austin. Being a single dad, I couldn’t go out on tour, so I spent most of the time writing and enjoying my son. WIM: You can’t ask for a much better ending than that. What a great town Austin is. What’s your latest project? DP: I’m doing a project now called d.i.g. We’re looking forward to a release soon. WIM: Nice! Can’t wait to hear it. Certain Sculptures was a great album on a big label. What happened? DP: I’m so proud of that record, the guys in the band and the people we worked with creating it. What a wonderful time in my life. But with the release of Certain Sculptures came responsibilities I wasn’t ready for. DP: I remember the day I cashed ‘the check’, an advance from Screen Gems for my publishing rights. I thought, this is the worst day of my life, because now I’m on the clock whereas before, my life was about playing music, gigging and rehearsing. But now it’s about business. Hell, I still enjoy rehearsing almost as much as playing a gig. WIM: That’s kind of the curse of the arts: You want to just make art, but you have to deal with the business side, too. DP: Yeah, our A&R person at Geffen was moved out to make room for Gary Gersch, (Bowie at A&M) and Tom Zutaut, (Gun ‘N’ Roses, Geffen). So David Geffen was going for the big hitters. WIM: I remember thinking about you guys when Guns ‘N’ Roses hit for Geffen a couple of years later. DP: When you’re signed to a big label like that, normally you have one person on the inside who is your champion, except of course if you have already had success. With DeDe Sugar being gone, we didn’t have our champion. I remember asking my manager what do the A&R guys get if they have a band that just explodes. He told me, “They get to keep their jobs.”So without getting into the dark underbelly of big labels, I’ll keep it positive, it was a wonderful experience. WIM: I can’t pass California Street in San Francisco without catching a “Turn Me Round” earworm (“You my dear/In the cafe/On California Street/Or some other place”). Was there a real cafe on California Street that inspired that song? DP: Yes, there was a cafe on California Street. It was around the corner from my apartment. I used to go there almost every day. Morning coffee, read the paper, and write lyrics, etc. It always smelled of fresh bread and strong coffee, two of my favorite things…. WIM: Certain Sculptures was the soundtrack to my high school break up, and I’m sure I’m not the only one. What’s it like to be stitched into the soundtracks of strangers’ lives like that? DP: That is probably the greatest compliment a songwriter could get. I’m humbled and honored, thank you. Breakup songs are special because they have both melancholy and hope wrapped up in a beautiful box of pain. My major breakup song was Moonlight Mile by the Rolling Stones. WIM: Great choice – a deep cut from Sticky Fingers. Why does music matter to Danny Phillips? DP: Playing music has always kept me in the moment, no distractions. Recording is different, it’s like putting together pieces of a puzzle until finally you have something that makes sense. Listening allows me to travel to where ever the mood of the song takes me. I am immediately going to seek out some of his music. He sounds like a very cool, humble, and interesting guy. As soon as the d.i.g. stuff is available I plan on writing it up. Looking forward to it! Yes, I loved this album to. I bought it in France when it came out and knew nothing about it. Great vocals and thankfully fairly restrained production compared to a lot of 80’s gated drums nightmares. Good songs too. He seems like a positive humble guy as mentioned in an earlier comment…a rarity in the music business. Hey why not make another album? Old is the new young! The vocals is the best on this. He sounds like no one else.